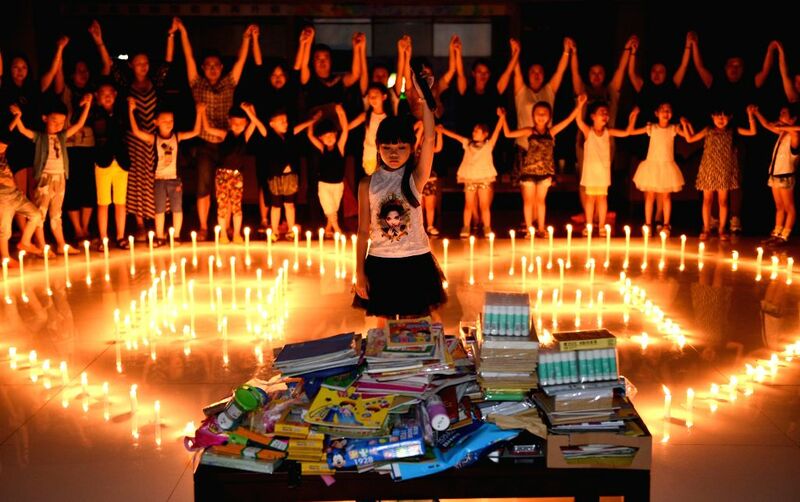 TAIYUAN, Aug. 12, 2014 - A girl stands behind donated materials for children in the Ludian earthquake-stricken area as children pray for people in Ludian, in Taiyuan, capital of north China's Shanxi Province, Aug. 11, 2014. A 6.5-magnitude earthquake hit Ludian of southwest China's Yunnan Province on Aug. 3, which claimed at least 617 lives and injured thousands of others. Children pray for people in the Ludian earthquake-stricken area in Taiyuan, capital of north China's Shanxi Province, Aug. 11, 2014. 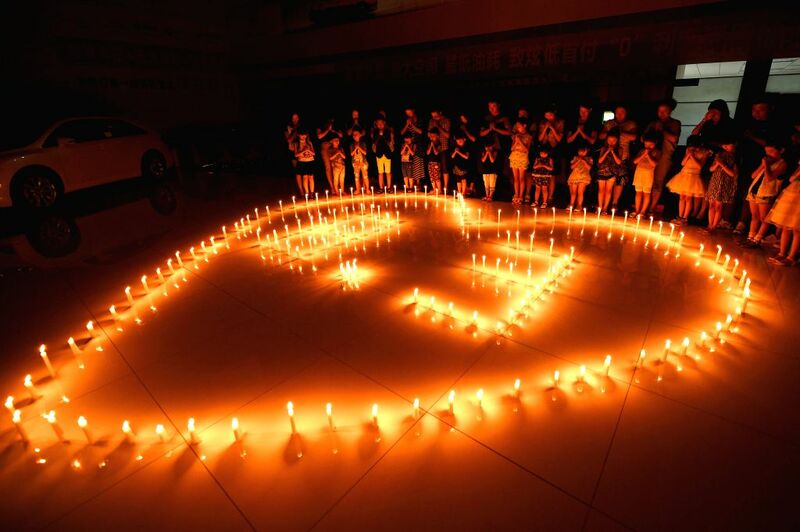 A 6.5-magnitude earthquake hit Ludian of southwest China's Yunnan Province on Aug. 3, which claimed at least 617 lives and injured thousands of others.